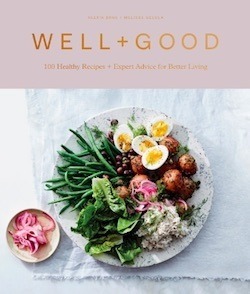 At Well+Good, we believe that cooking is an important piece of the wellness puzzle and that everyone can make magic (or at least some avo toast) happen in the kitchen. Sometimes, you just need someone to show you where to start, and maybe a few others cheering you on. It doesn’t need to be complicated, or every day—like most things in the wellness world, a little goes a long way. That’s why we’ve launched Cook With Us, a new program designed to help you feel creative and confident in the kitchen. This week, Cook With Us is kicking off with a week of stories that’ll inspire you to sharpen your knives, plus introduce you to healthy recipes we’re sure will become weekday staples at your house (like this sweet potato gnocchi and these gluten-free chicken fingers). And stay tuned for the launch of our new digital community, a place for you to chat, learn, and share your favorite recipes with other wellness-minded home cooks. Think book club takes the kitchen. Even with a gorgeous new cookbook (ahem) prettying up your kitchen, cracking it open and putting it to use can be intimidating. But here’s the thing: It doesn’t matter if the end result doesn’t look like the picture. You don’t need a pantry full of spices you’ve never heard of and you definitely don’t need to dirty half a dozen pots and pans to make good food that’s nourishing for your body and soul. Don’t believe us? Here, a registered dietitian and a nutrition psychologist sound off on the myriad health-boosting side effects that come with cooking a simple meal. 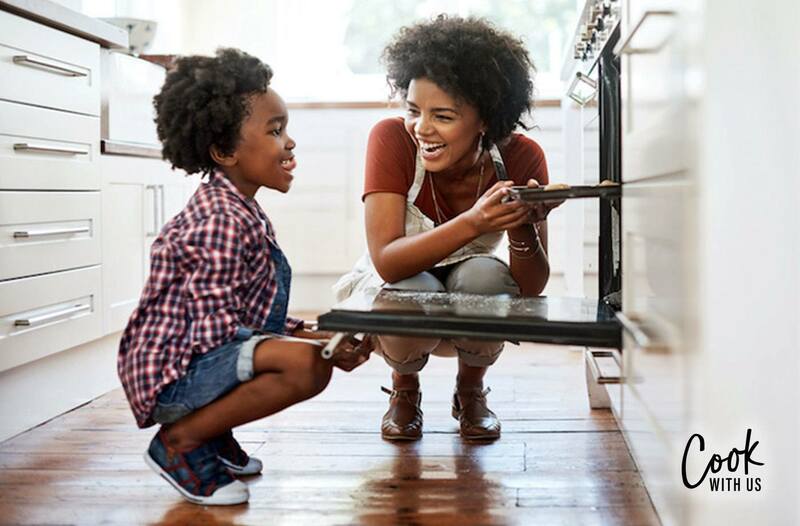 It doesn’t matter if it’s your first time cooking or millionth—these are perks everyone can benefit from. What are the health benefits of cooking? Probably the most obvious benefit of cooking your own food is that you know exactly what you’re putting in your body. “This can be vital for people with food allergies, intolerances, or other dietary restrictions,” says Kara Lydon, RD, LDN, RYT, owner of Kara Lydon Nutrition and author of Nourish Your Namaste. That means skipping playing 21 questions with your waiter or triple-checking the ingredients list on every packaged snack in your grocery cart for gluten. “Eating at home often comes with fewer distractions and thus a greater ability to turn inward to check with your satiety and satisfaction cues to know when to stop eating,” Lydon says. Yet another reason why it discourages overeating. One study found that French adults who cooked at home ate a greater variety of foods than those who primarily ate out. As any RD will tell you, having a varied diet results in eating a greater range of nutrients (because no one food contains everything you need!) and can lead to overall better health. Are there any emotional benefits, too? Museles points out that when you take time to prepare yourself something nourishing, it’s telling yourself that you’re important. “You’re not saying, ‘I’m too busy.’ You’re saying, ‘I’m prioritizing my health and myself.’” She adds that if you have a difficult relationship with food, making these connections with what you’re putting in your body can help mend that relationship. Because preparing your own food takes at least a little planning ahead, Museles says it helps promote organization and self-sufficiency. “I’ve found that when you’re organized in one part of your life, that mindset spills over into other areas too,” she says. When you feel like you have your meals planned out, you might be inspired to figure out your workout schedule next. In almost every culture, cooking for someone is a way to express love. “Cooking with your partner, kids, roommates, or friends can be really bonding,” Museles says. “You’re working together to make something, and then you get to sit down and enjoy it together.” And emotional connections are key for mental well-being. If you’re inspired to get cooking, here are the kitchen tools and pantry staples to stock up on.